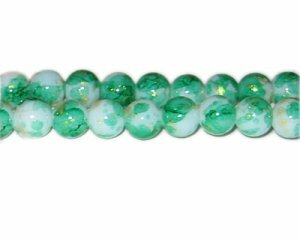 These are 10mm Green GoldLeaf-Style Glass Bead, approx. 21 beads on an 8" string. This is my first time ordering. I received my beads fast and they are absolutely perfect! Thank You!